The survey also revealed that while Australians want to spend more quality time connecting with family and friends, distance (38%); being too tired or lacking energy (28%); being busy with other activities (20%); catching up on housework (19%); or long work hours (18%) are the main obstacles preventing that outcome. In the lead up to its eighth R U OK?Day on Thursday 8 September, R U OK? is urging all Australians to spend more time catching up with friends, chatting on the phone with family, or visiting elderly relatives. Rebecca said setting aside quality time for those we care about makes it easier to start a conversation if you sense they’re not doing so well. R U OK? 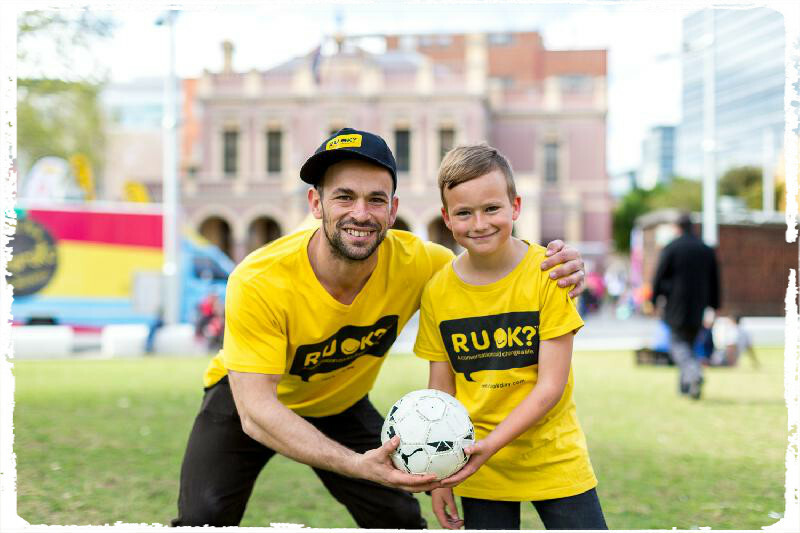 Ambassador and former rugby league player Brett Finch said he’ll be taking time to reconnect with his mates on R U OK?Day and throughout the year. “It can be easy to lose contact with people who matter to us because life’s hectic. Even if you can’t be there in person, pick up the phone and give someone you care about a call. It’s worth the effort. Having been through some personal battles in recent years, I know how important it is that we’ve got good mates and family to talk to,” Brett said. “I’m so grateful that my family and mates reached out to me when I was at my lowest point. I know the difference a sense of connection and support can make. That’s why I want others to do the same for the people in their world,” he said.